I came across the website last night for the office of Tony Blair, but I had to check twice, in case I had mistaken it for the New Testament. 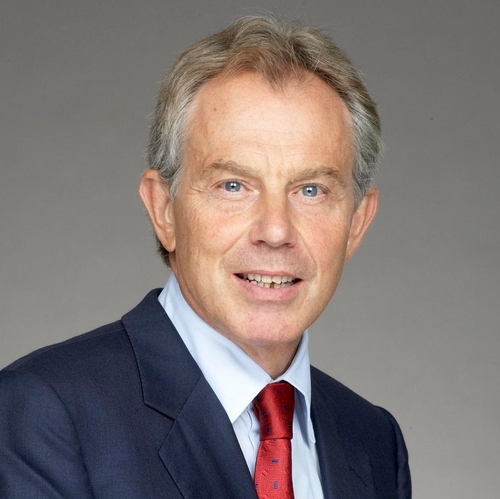 For it came to pass, that Tony Blair did go forth into Jerusalem where which he spake unto the people of Isreal. And as he gave utterance, he did say unto the people that their fight was not one people against another, but did warn all peoples to unite against those of a closed mind. In fact the chapters of Tony Blair’s gospel go on and on. He travelled the world from Africa to North London, coordinating philanthropic work and teaching the world how open mindedness is the solution to everything. And once I had read his list of 50 achievements for the British people – a wealth of figures of more policemen on the streets, less unemployment, lots of schools turned around. You would honestly consider this guy miraculous until you link it with the debt acquired to reach those goals, and how the population has now become dependent on government handouts instead of learning to look after themselves. And this is it, in this generation it happens time and time again. Politicians are willing to say and do anything that will keep them in a job. Never mind the billions and trillions of debt, due to irresponsible and unaccounted spending. Never mind that our children and our children’s children will be living through austerity to compensate what seemed like a clever vote winner now. Tony’s cronies literally hoodwinked the majority of the British electorate into believing that the things he was delivering came without cost or consequence. He hid the costs of his borrowing in the middle class prosperity and working class wage increases leaving us where we are now: with the bubble burst and the value of money dropping back down to reality. Let’s hope that now people can learn that there truly is no such thing as a free meal. That all wealth and increase comes through real labour. Hopefully now people will hold their politicians to account, and properly scrutinize where things are coming from. Instead of voting through the mindset of my old life skills teacher: coz he looks good! This entry was posted in Politics and tagged Bible, Blair, liar, miracle, politics, Tony. Bookmark the permalink. Please tell me this is a joke right? I am reading a post that is a joke right? Probably not in the way that you’re hoping.